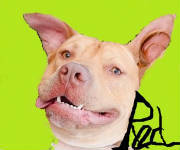 Click photos and links to see our fabulous clients and dogs in action! When I met Humphrey he was a cheeky 8 month old jumping, remote eating, scarf pulling, glove stealing, food stealing, hood removing, paper chewing, garbage mouthing adolescent. His human Lincoln was at his wits end. He loved Humphrey beyond measure but they were not having very much fun together. Humphrey was a happy boy who just wanted to have some fun. We channeled his talent and enthusiam to some positive activies he and Linc could enjoy together. I am truly honored to have been the opportunity to help them develop what became an amazing relationship. 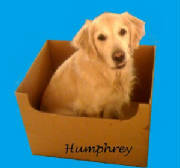 We lost Humphrey to cancer earlier this year. He was only 5 years old. I miss him terribly. Truly exercising your dog is so much more than running them until they are too tired to misbehave. Structured play burns mental and physical energy and develops rapport between dog and handler. Gigi happily keeps her focus on her handler despite a cornucopia of distractions including squirrels, skateboarders, and other dogs. Lisa and Ginger have been working with Lydia since Ginger was a young puppy. Their relationship was built on a variety of activities all using progressive training. In this video Ginger learns to jump on Lisa's lap with a long term goal of jumping into her arms. 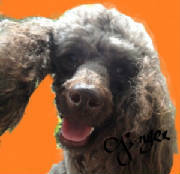 Ginger now lives in London and continues to work as a service dog for Lisa and entertainer for everyone. Red and Leti "find it!" It's no secret that dogs love to sniff but most people don't realize that seeking is essential to a dog's quality of life. Playing "find it" rewards impulse control (stay) with seeking. Play with two dogs for extra fun. Do not play this game with dogs who guard resources from people or other dogs. Red and Penelope engage in friendly appropriate play. 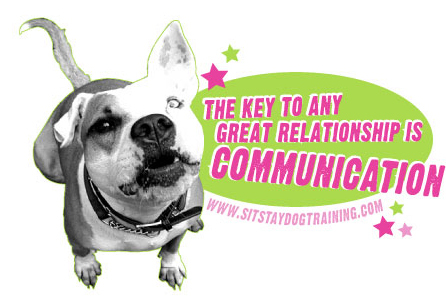 Friendly dog play includes an even exchange of dominant and submissive roles. Madison often lounges with front paws crossed so we decided to put it on cue. She has been trained exclusively with positive reinforcement and was able to learn and perform the new trick in minutes. Like many dogs, Samson and Daisy charge the door and bark when they hear the doorbell. In this video we are playing the doorbell at a volume the dogs can tolerate. They are rewarded for remaining in place with the manners minder remote reward system.